One of my favorite ways to monetize my blog is through affiliate marketing. In fact, it was the first method I utilized when I launched this site back in 2009. The great thing about affiliate marketing is you can start it at any time (you don't need to have a ton of traffic) and over time, it becomes a source of passive income. Today affiliate marketing is one of my top sources of blogging income. So let's talk about what it is and how to get started. 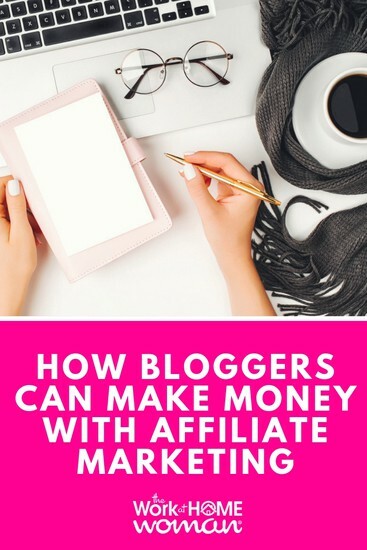 Affiliate marketing is a way for bloggers, social media influencers, and publishers to make money by referring their readers to a product or service in exchange for a commission on a sale, a lead, or an action. To earn money from the affiliate marketing model you'll sign up or apply for entry into the affiliate program. Once you're accepted into the program, you can promote the product or service on your blog in a variety of ways: Banner ads, blog posts, written reviews, text links, social media updates, and email marketing campaigns. In return for your promotional efforts, you will earn a stipend on every sale, lead, or referral made from your unique affiliate link. Where do you find affiliate programs? You can look at your favorite brands and businesses' websites to see if they have an affiliate program. If they have an affiliate program, it will most likely be displayed in the footer of their website. Another way to find affiliate programs is by Googling the company name along with the keywords “affiliate program.” Doing this should shorten your search as a high percentage of businesses use third-party platforms to run their affiliate programs. Rules you MUST know before you begin. First, the Federal Trade Commission (FTC) requires bloggers to disclose their affiliate relationships. This needs to be done in a clear and concise manner on each blog post that contains affiliate links and in your disclosure policy. If you're not familiar with the FTC guidelines — check out this post for more information. Second, Google requires all sponsored and paid links, which includes affiliate links, to have the no-follow attribute. If you do not add the no-follow attribute to your paid and affiliate links you are in violation of Google's policies — which can result in a manual action or algorithmic penalty. What that means is Google can ban your blog from their search results, which can significantly hurt your traffic and blogging business. Choose products and services that you know, use, and love. If you are uncertain about promoting an individual product, ask the merchant for a copy or sample to review. Remember these are your readers and you don’t want to lose their trust by promoting lousy products or services. Make sure your blog is visually appealing, easy to navigate, and that your content is pertinent and offers real value to the reader. Choose products and merchants that are in your niche. Build traffic to your site. The larger your audience, the more potential sales and leads you can generate. Work with your affiliate partners getting tips, strategies, marketing copy, and tools. They want you to be successful, if you’re successful, they are successful – remember this is a mutually beneficial partnership. There are tons of third-party affiliate marketing platforms. Who you choose to work with will depend greatly on your niche and the various brands and companies they represent. Adbloom is a smaller affiliate network that offers promotions for side hustles like VIPKID, survey sites like iSay, and money-saving sites like Trim. Publishers must meet a minimum traffic requirement of 30,000 monthly unique visitors, and YouTube and Instagram Influencers must meet a minimum subscriber and view counts that are evaluated on an individual basis — which means you don't need a website to join. Payments are made via direct deposit once a month. By far the biggest and most popular affiliate program is Amazon. With this program, you can link to any individual product that Amazon sells. Commission rates vary from 1% to 10% on each item sold, depending on your sales volume and product category. Payments are made 60 days after the end of each month and sent out via direct deposit or check. For payment to be issued — your earnings must be at least $10 for direct deposit and $100 for the check. You can also sign up to be an Amazon Influencer, which means you don't need a website to promote Amazon products. Brand Cycle is an affiliate marketing platform that allows you to share special promotions and products with your readers. They have a ton of retailers to choose from; companies like Zulily, Ann Taylor, Blue Apron, CVS, Etsy, and much more. Brand Cycle also offers exclusive brand campaigns for sponsored content. Your account must reach a $50 threshold in order to receive payment, and payments are issued via the Payoneer platform either via direct deposit or bank transfer. Brand Cycle also has a publisher referral program where you can earn $10 for each publisher that signs up using your referral link. CJ Affiliate is a third-party platform where bloggers can gain access to millions of advertisers that can be promoted through text links, banner ads, email marketing, social media channels, sponsored posts, and a PayPerCall application. One thing I like about this platform, is the affiliate managers are super helpful. They even have a private Facebook group for certified partners where they offer sponsored post opportunities, tips, as well as they answer questions. Payments are made via check or direct deposit on a monthly basis once your account hits the $100 threshold. Some companies I found on CJ Affiliate are Ann Taylor, Banana Republic, Coupons.com, Expedia, Redplum Coupons, Sea World Parks and many more. To become a certified partner, you can apply here and enter referral code 3504060 — you must write original content and have at least 10,000 unique views per month. FlexOffers is an affiliate marketing network, where publishers can gain access to millions of products and services that you can promote through text links, banner ads, templates, and other applications. Payments are made via check or direct deposit, weekly and monthly, once you hit a $100 threshold. Some companies that are part of the FlexOffers family are Macy’s, Target, Best Buy, Starbucks, Barnes & Noble and much more. This platform is super easy to use and with all of the great companies, it’s easy to meet and exceed the payment threshold. Panthera Network is one of my favorite affiliate platform that hosts work at home opportunities, coupon sites, survey sites, reward and sweepstake sites, as well as women's products and more. Payments are made via check, direct deposit, wire transfer, or PayPal on the 15th of the month for commissions made the past 30 days. The platform is user-friendly, and with the vast array of companies, it is always easy to meet the monthly minimum threshold of $50. 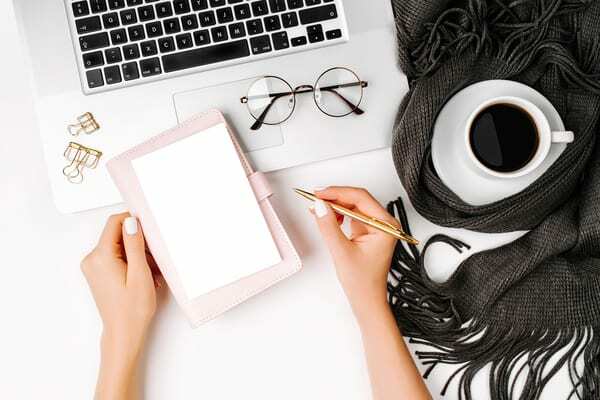 ShareASale is an affiliate network where bloggers and publishers can connect with thousands of big name brands, in fact, there are over 2,500 merchants to connect with. Each of these companies has a different type of product that they are selling, and their ready to send money your way for each customer that you bring to them. Payments are made via check and direct deposit monthly, once you’ve reached a $100 threshold. Current merchants include Tiny Prints, Stella & Dot, Zulily, Craftsy, ModCloth, One Kings Lane, and thousands more. One of my favorite affiliate networks, easy to use, tons of great merchants to choose from, and I never have a problem meeting the monthly payment threshold. ShopHer Media is another cost per action (CPA) network that is great for mom, parenting, coupon, frugal, and savings type bloggers. This platform contains offers for Checkout 51, Cool Savings, Coupons.com, Ebates, FTD, and much more. You will need to participate in a phone interview before you're accepted into the program, but it's entirely painless and takes just a few minutes. Payments are made via check or PayPal monthly once your account reaches the $50 threshold. Skimlinks is another automated affiliate platform. Bloggers can apply for approval into the network once you’re approved simply paste a unique code onto your site and you’re ready to go. Links are automatically added to your content, and you’ll start making money from reader's clicks. Refer other bloggers into the program and you'll double your earnings. Ultimate Bundles is an affiliate platform that sells bundles of digital products from bloggers and small business owners for one low price. They currently have bundles in the following niches: Healthy Living, Blogging, Meal Planning, Homemaking, Handmade, and Herbs & Essential Oils. Each bundle contains thousands of dollars worth of digital products, but they are sold for a fraction of their retail cost. Ultimate Bundles does an excellent job of providing extensive tools, videos, webinars, banners, training, and email copy for each bundle's launch. Affiliates earn a generous 40% on sales and payments are made via PayPal. Viglink is an affiliate aggregator, meaning it automates affiliate marketing for publishers. Sign up for a free account and paste the dedicated code that they give you into your website. When these links are clicked on, and your readers make a purchase, you’ll earn cash. You can increase your earnings by adding Viglinks to your Facebook and Twitter updates or through your email account. Viglink works with companies like Amazon, Anthropologie, and Avon. In fact, they have over 30,000 companies that are part of their program. Refer other bloggers and friends to Viglink and make even more money. Work-At-Home School isn't just an affiliate program promoting a course, it's a comprehensive a curriculum package where students can pick and choose the courses that will up-level their skills, moving them in the right direction. This program has an excellent sales funnel in place, where you get potential students in the door with a free online summit which contains interviews from over 40 work-at-home experts. After the free summit, students are placed into the sales funnel promoting the Work-At-School curriculum. Affiliates earn 40% on sales and payments are issued via PayPal. Work-At-Home School only launches once a year in January — be sure to get signed up before then. Here are some other affiliate networks to check out. Affiliate marketing is an excellent way to make money, diversify your income streams, and to earn money passively. Just remember to choose programs and products that you yourself would use and buy. Promoting a lousy product or service could damage your reputation, so be sure to always place people over profits. What questions do you have about affiliate marketing? What's stopping you from getting started with this monetization method? Drop us a note; we'd love to hear from you! Originally published March 20, 2009. Content updated March 28, 2019. Thank you for the helpful information, but I wanted to add that ClickBank is also a great affiliate marketing program! I came across a review on the programs they offer and it has truly helped me succeed in the industry. Yes, I’ve heard of ClickBank, although the reviews are very mixed and many of their products seem shady, which is why I don’t include them in my review. I’m happy that you’ve found success though! Which web hosting service would you personally recommend in this kind of settings? Hostgator? Hostinger? etc. If you’re just starting off, I would recommend Bluehost. They’re affordable and they make it a snap to set up. And full disclosure, I am an affiliate for Bluehost. I noticed that Clickbank and Pepperjam were not included in your list of affiliate programs. Did you intentionally leave them out? I’m developing a blog about self employment ideas and am checking out some of your suggested affiliate networks. “Work-at-home school” sounds especially relevant to my content and audience. The ones listed above I have personal experience with. I haven’t used Pepperjam or ClickBank, but I know a lot of people who do use them. Some of the products that ClickBank promotes seem shady which is why I don’t recommend them. I am new to the Blogging industry and with your fantastic information I am doing a lot of preparation before my website is live. I have a question regarding the “no-follow attribute”. You mentioned if you do not add the no-follow attribute to your paid and affiliate links you are in violation of Google’s policies. What exactly is that and how do you do it? The no-follow attribute is a snippet of code (rel=“nofollow”) that is added to sponsored and affiliate links on the HTML screen. This snippet tells search engines not to award that link/site any points in their algorithm since it’s paid.